Environmentally friendly. Sustainable. Made in the usa. Hand crafted custom wood flooring that’s good for you and the environment. 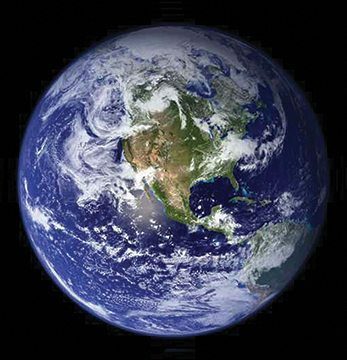 At Carlisle Wide Plank Floors, we never waste a resource, and respect for nature is ingrained in everything we do. Over the last 50 years we’ve invested in and implemented practices and processes that help us create beautiful custom floors while preserving and supporting a healthy, sustainable environment, inside and out. Our appreciation for fine wood starts with our respect for nature. Due to our selective procurement process we only use the best, most mature timbers, which are in limited supply, so we need to ensure this supply is around for generations. Over the last half a decade we have forged relationships with landowners and sawyers who don’t practice clear-cutting. We all recognize that clear cutting has a negative impact environmentally and for our business. We want to ensure that our forests, and our floors will be around for generations to come. 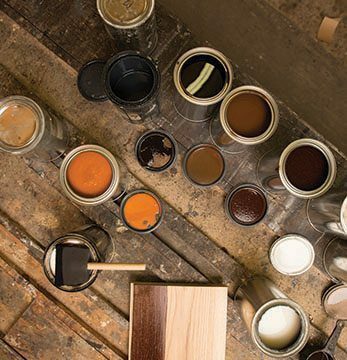 At Carlisle, we’ve created the most versatile selection of stains and finishes which are beautiful, easy to care for and environmentally friendly. For added convenience, Carlisle can prefinish your new custom floor. Unlike other prefinished wood floors on the market with questionably environmental standards, Carlisle prefinished wood flooring has no measurable VOC’s (volatile organic compounds) and no urea formaldehyde added during the manufacturing process. We can also recommend environmentally friendly cleaning and maintenance products to care for your floor. Just like our solid wood floors, we make each engineered wood floor to order, which means we know what does, and does not, go into each floor. 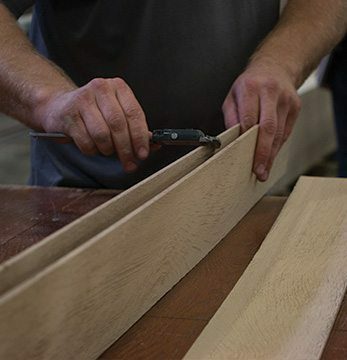 No urea formaldehyde is added during the manufacturing process of our engineered wood flooring. In fact, Carlisle engineered wood floors exceed the CARB2 compliance guideline for formaldehyde emissions. The US Green Building Council (USGBC) has adopted the Leadership in Energy and Environmental Design (LEED) rating system which provides guidelines for creating environmentally friendly structures. Carlisle Wide Plank Floors offers interior flooring solutions that comply with, and contribute toward, LEED Certification for residential and commercial spaces. These solutions include antique flooring, also known as reclaimed wood flooring, in a variety of styles. Depending on the location of your project, our newly sawn hardwood floors or pine Floors may also work for your LEED Certified project. Carlisle is also pleased to provide Versallia luxury vinyl plank flooring, and Torlys floating flooring – available exclusively from Carlisle Wide Plank Floors. Today, it seems there is more wood flooring being imported into the USA than ever before. Despite the appeal of lower prices, this practice has a far reaching environmental impact on us all. This should make you pause and consider where your flooring is coming from. Even though you may be purchasing it from a “local” retailer do you know where it was actually manufactured. Carlisle Wide Plank Floors is, and has always been an American manufacturer, crafting each floor to order, right here in the USA. When you buy a Carlisle floors you are working with and buying direct the manufacturer, not a retailer, wholesaler or other third party. 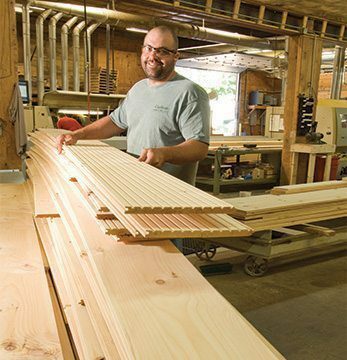 Not only are our floors made in America, but the rare exception, the wood we use to manufacture our flooring also comes from American foresters and sawyers because the best hardwood and pine trees grow right here in the US from the Northeast down through the Appalachian Mountain range and over to the select pockets of the Midwest. This “local” change of custody has a far reaching, and positive impact on these local communities and our environment. Hand Crafted by Carlisle, in the USA.